Tick tock! Christmas is now officially less than a week away, and if you have been slacking or just haven’t gotten around to getting that perfect gift for someone who vapes, look no further. What you need is about 2 minutes of your time, and you’ll be giving them the finest gift of all: South Beach Smoke, in gift card form. When you order a gift card online, it will be emailed to the recipient, and will await them in their inbox. Total instant gratification. 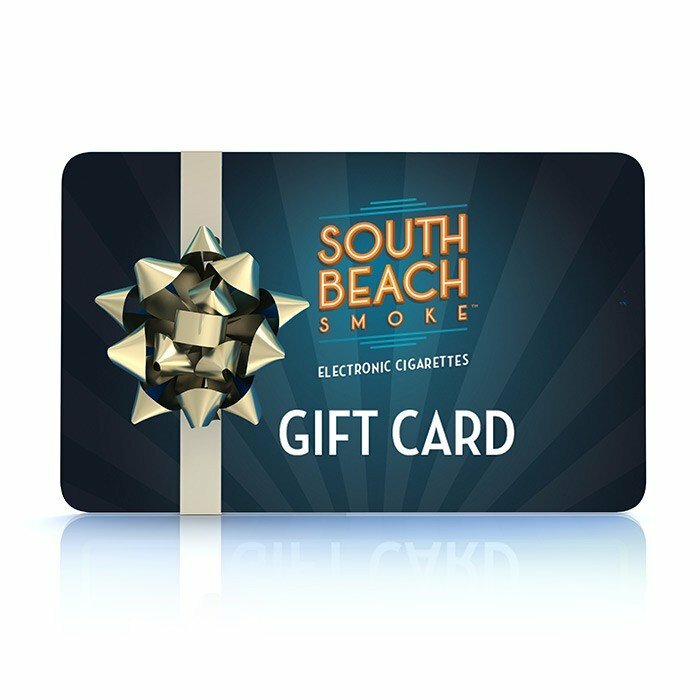 South Beach Smoke gift cards make the perfect, the ultimate gift no matter what the occasion may be. They take minimal effort to give, and a gift card from SBS makes a most awesome gift! At once they are fun, creative, useful, and beneficial; who would not want one to spend any which way they want on their favorites e-cigs, vaporizers, e-liquids and accessories? Gift cards enable the receiver to get exactly what they want, the ultimate in simple, effective, and everyone is pleased. Vapers can be a notoriously picky demographic to shop for. Because e-cigarettes and vaporizers cross the borders between cool tech item and personal use item, they are highly individualistic and every vaper has their particular favorites, as well as preferred products. Plus, if you’re buying for a seasoned vaper, you are probably aware that they are most likely kinda picky about what they want. So, save yourself the trouble of guessing, and wondering if they have something, or don’t have something. Go with a gift card and keep it stress-free! You’ve got so little time left; don’t boggle it guessing, or paying an arm and a leg with overnight shipping on gifts you’re not even sure the vaper in your life will like or want. 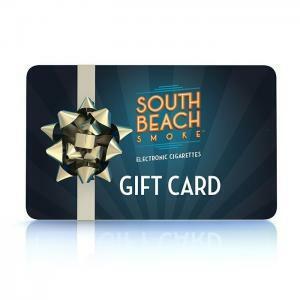 Go with the safest option: a South Beach Smoke gift card, and you’ll be thrilled with the results! Happy holidays! Why is Vapor So Effective to Help Smokers Transition From Tobacco?